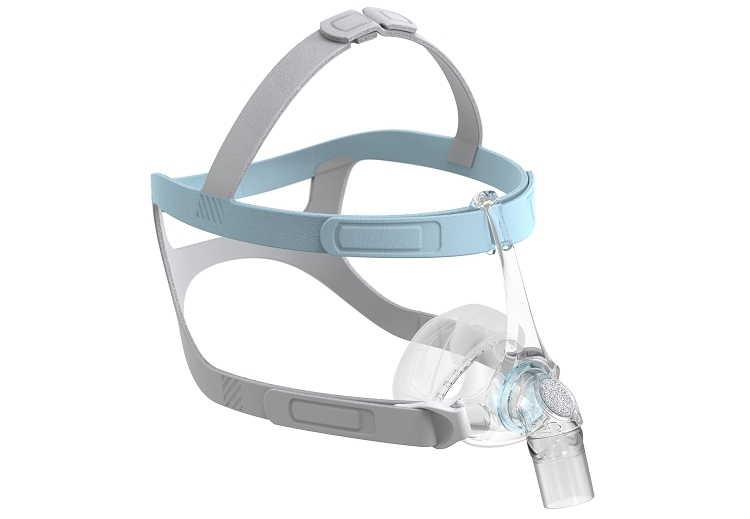 The Eson 2 Nasal CPAP Mask offers a simple, elegant solution for CPAP users who are looking for a lightweight, easy to use interface with a minimum of hassle. F&P's new RollFit silicon cushion rolls back and forth at the bridge of the patient's nose, which allows the mask to maintain a functional seal in spite of movement during sleep. In addition, a quiet, peaceful night's sleep is ensured by the innovative Q Cover exhalation port, which consists of a small plastic shield that houses a soft foam diffuser filter. The ErgoFit headgear offers a multitude of adjustments via velcro loops, allowing this mask to fit a wide range of faces, a feature that is also enhanced by the fact that all of the cushions for this mask share the same frame.